I've got my eyes very closely watching Underworld Ascendant, and that's mostly because of the talent behind it. Warren Spector (Deus Ex), Paul Neurath (Thief), Joe Fielder (BioShock Infinate), and Tim Stellmach (System Shock) make this a development team that has real pedigree and talent behind it. That is, of course, no guarantee that the game will be great, but it makes this project genuinely intriguing as the first from a new start-up studio. 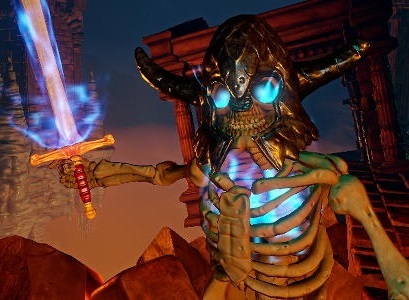 Based on this trailer we can see that Underworld Ascendant holds all the bits and pieces that you want from a good dungeon crawl; there's the ability to be stealthy, and to solve puzzles along the way. And, of course, there's combat in tight, claustrophobic arenas. Players will return to the breathtaking fantasy realm of The Stygian Abyss, rife with danger and full of intrigue, as they journey through the unfamiliar and unlock their creative potential in this action RPG designed to maximize player gameplay choice. Also released today a brand new development diary that offers players and fans insight into the Improvisation Engine behind the game, a series of interwoven systems carefully crafted to give players freedom of choice in a truly immersive environment – and features interviews with Joe Fielder, Tim Stellmach and lead engineer Will Teixeira. The game is on track for release in 2018, too, which is good. At the moment it's only for PC (boo), but fingers crossed that something like this comes to console at some point, too, because there just aren't enough of this kind of game out there.